Not a single Japanese company has applied for a government program meant to reward firms for promoting women. The program offered companies up to 300,000 yen ($2,500) for hitting targets to train and place more women in senior positions. The Japanese government had earmarked about 120 million yen ($1 million) for the program, but the money has been returned unused, said Sawa Nakagomi, of the equal employment policy division at Japan's Ministry of Health, Labor and Welfare. About 400 firms were expected to apply. The failure delivers a blow to Prime Minister Shinzo Abe's plan to support Japan's women at work. Both the government and outside experts have championed women as a way to boost Japan -- the world's third-largest economy is on the brink of falling back into recession, and faces a labor shortage and a fast-aging population. Right now, only about 65% of Japan's women are working -- and many are in part-time jobs. 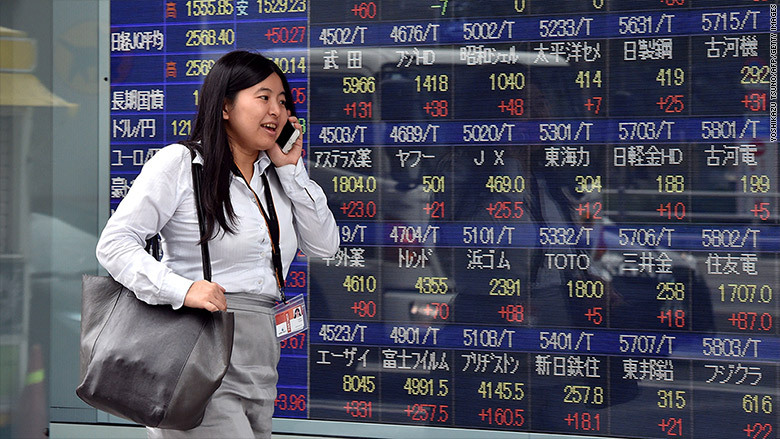 Closing Japan's gender employment gap would add an estimated 7.1 million employees to the work force and lift gross domestic product by as much as 13%, according to Kathy Matsui of Goldman Sachs. Experts say the problem has been exacerbated by a lack of childcare resources, and the failure of companies to hire, train and promote women into senior management. Nakagomi said the program's criteria were likely too stringent, and she expects a similar initiative set to begin next month, with a larger budget of 240 million yen ($2 million), to be more popular. The upcoming subsidy program follows on the heels of new legislation passed late August by Japan's parliament. The law, which takes effect next April, will mandate large companies, as well as the government, to set and disclose numerical targets for hiring and promoting women. Matsui told CNNMoney in August that the law was a positive step, as "disclosure is always embarrassing if you're behind the rest of your peer group."